Browse the wide range of Puma clothing at Fat Buddha store, featuring sports apparel, footwear and men’s bags. With its foundations firmly rooted in urban culture and street style, we are proud to be established UK retailers of Puma clothing. The collection presents the most innovative sportswear, casual tees and contemporary men’s attire, so whatever you require, Fat Buddha has the thing for you. All of the products have been carefully chosen by our expert team for their quality and style, so you can be assured of the durability of our garments. We are also offering free delivery on all orders over the value, including next day delivery when you order before 3pm Monday to Friday! 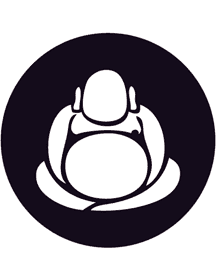 Whether you’re a regular Fat Buddha customer of visiting us for the first time, our team are here to help. Call us on 0141 226 8972, or drop an email over to sales@fatbuddhastore.com and we’ll do our best to help you. Click on the images below to read more about each of the products in our men’s Puma clothing range.